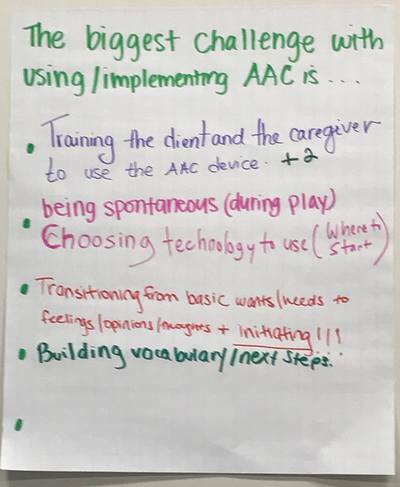 AAC Connection helps families and professionals practically integrate Augmentative & Alternative Communication (AAC) through training, individualized programming and team support. ​We know full well the challenges inherent in trying to navigate these somewhat unchartered waters for many families and caregivers, and we are here to help guide you through this process. Provide high tech tools to children and adults so they can connect with the world around them. Provide training to families and professionals to support people using AAC . AAC In The Cloud Conference - AAC Connection's Lisa Hancock participated in a parent panel. Check it out! FREE OFFICE HOURS on the 2nd Thursday of each month. Started in April 2017, AAC Professional Development & Peer Collaboration Series, will continue in September 2017. 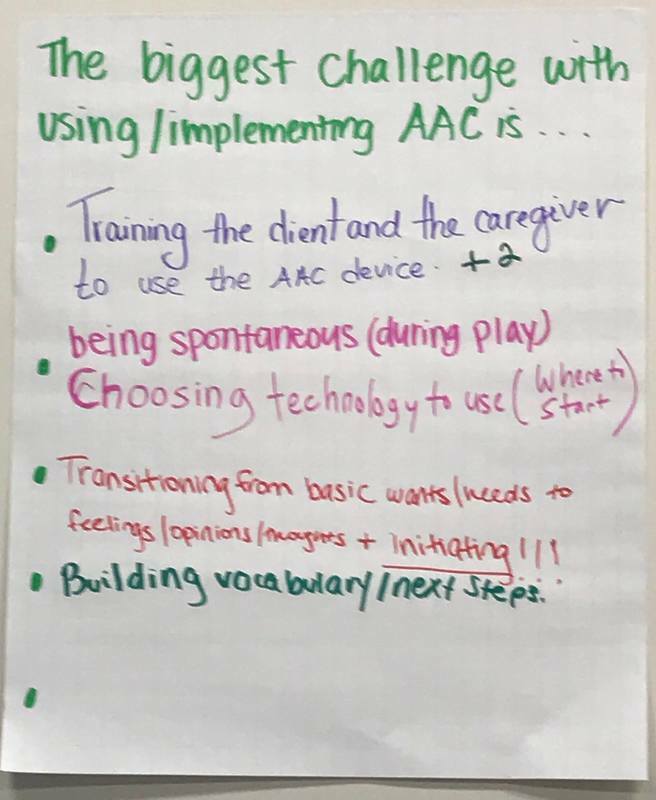 What's your biggest AAC challenge? ​Augmentative and alternative communication is used everyday by everyone. 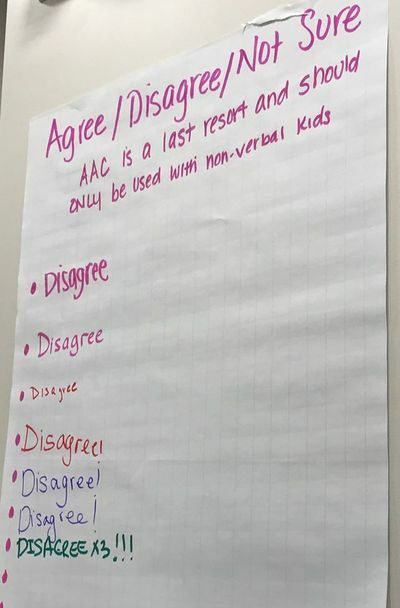 AAC systems are used by struggling communicators in our oral world. Everyone has the right to communicate. Maybe we should ask, what it isn't?! ​Core language are the words we use everyday to get us through the day. Modeling is also known as aided language stimulation (ALS). Put simply you have to model words in order for a child to use the words - think of it like learning a new language. It was wonderful to hear information not only from well respected providers but also from a parent whose child actually uses AAC.